If you’ve been in touch with what’s been happening in the world of technology, you’re probably aware of Windows 8, the next version of Windows, currently in early development stages. 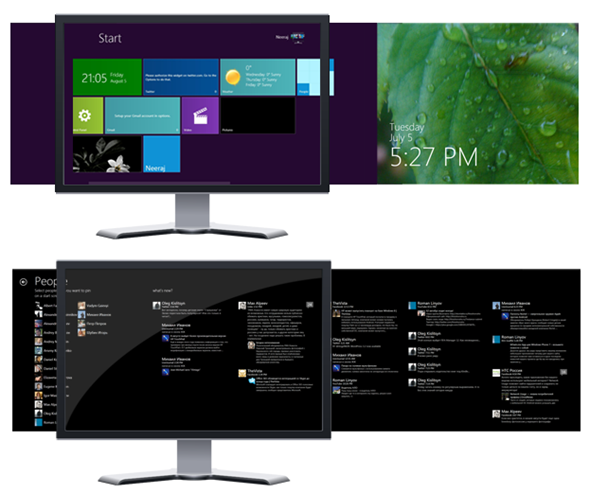 Among many of the new features is a new tile-based look, and if you want to get some aspects of that interface today on your computer running Windows 7, then you can do so using third-party tools. This new one, known as Mosaic Windows 8 Edition, is a custom shell that sits on top of Windows 7’s standard interface that brings new tile-based widgets, Windows 8’s new welcome screen and multi-tasking enhancements. The main upside of this custom shell is the fact that it requires no previous setup: all users need to do is launch the program’s main executable. Once they do, they’ll immediately be taken to a full-screen view with one, and just one, widget open: the digital clock. A whole slew of widgets are available, however. In order to access those, move your cursor all the way to the right and double-click, then click on “Widgets” and you’ll have several to choose from, ranging from a weather forecast to a Twitter feed and an application launcher. Removing widgets is as easy as dragging them to the trash can at the bottom of the screen. 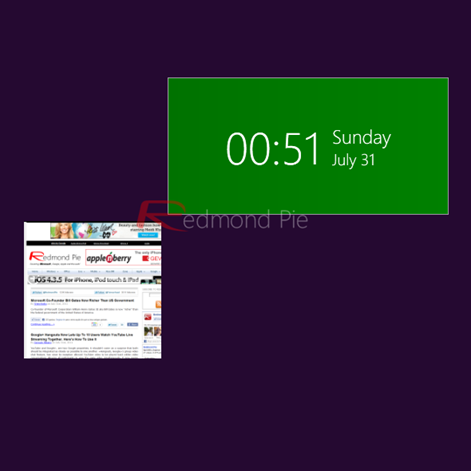 In addition to widgets, several other elements can be “pinned” to the start screen, such as applications, web addresses and even Facebook friends. Pinning websites, for example, will create a small thumbnail of the chosen site and place it on the start screen: clicking on it will simply launch the desired website in the system’s default browser, there’s no built-in one at this point. Removing thumbnails can be achieved by right-clicking them and selecting the “remove” option. 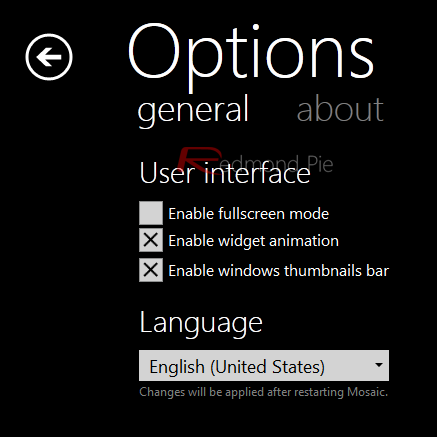 As mentioned at the beginning of this article, Mosaic Windows 8 Edition also includes a multi-tasking manager, allowing users to interact with other Windows applications without previous setup or modification. Moving the cursor all the way to the left and double-clicking will bring up a list of all open windows as well as their respective thumbnails. Clicking on them will bring the desired window to the top of the screen. This overview is just scratching the surface of what this program can do, though its still in development stage. As with any application at this stage, expect some bugs here and there, as well as user experience flaws, such as lack of animations on many user interface controls and, to a lesser degree, slightly crippled functionality, such as the options pane which offers very few customization options at the moment. 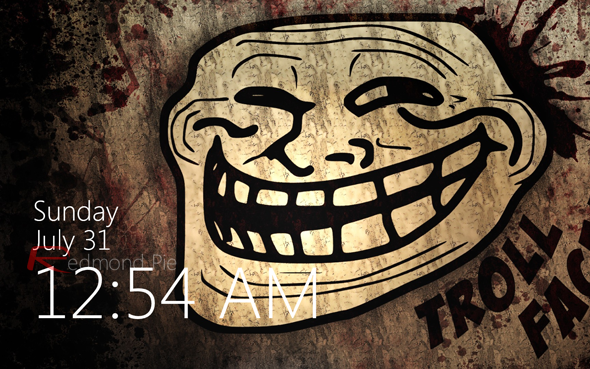 What’s surprisingly well implemented is the welcome screen, which can be accessed by double-clicking the clock widget. 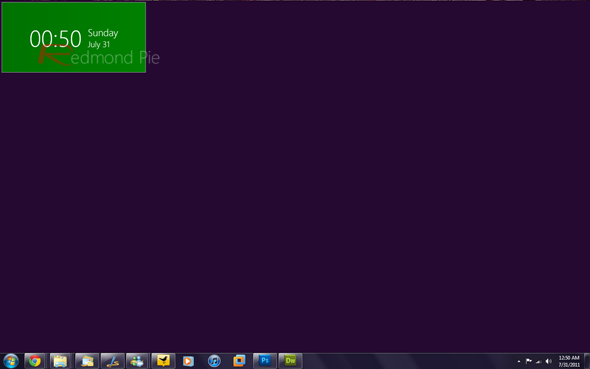 Your desktop wallpaper will be used on this screen’s background with no additional configuration. In order to run this application, you must be running Windows 7 with .NET Framework 4 which you can download from Microsoft’s Download Site.